Whether shopping for a New Garage Door or if you are a Garage Door Dealer looking for a new wholesale source, we offer the webs most complete list of Garage Door Manufacturers. We break them down into Metal, Wooden and Roll up doors to fit your style and needs. Get a Free estimate from a Local Garage Door Contractor here – No Obligation. 1st United Door Technologies Steel carriage house garage doors at 1/2 the cost, weight, maintenance, plus 2x warranty of similar wood doors. Also offers a selection of steel sectional doors. Tempe, Arizona (480) 705-6632. Clingerman Builders Custom Wood Garage Doors – Clingerman specializes in custom wood garage doors in many styles. C.H.I. Overhead Door Check out the maintenance-free urethane carriage house door. (800)677-2650. Designer Doors Inc. A personalized custom garage door solution. Wow – must see. River Falls, Wisconsin (800) 241-0525. 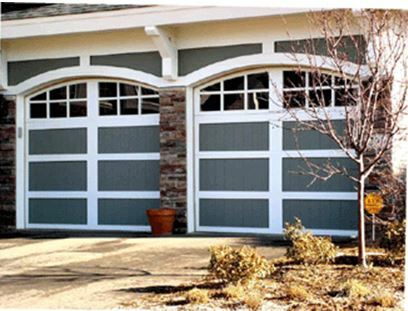 DoorTech Industries, Inc. Raised panel steel sectional garage doors insulated with 2″ polystyrene. Real leaded brass divided glass. Oceanside, California (800) 941-DOOR. Garage Doors Inc Our mission is to produce doors better than the rest. We invite you to compare us with the competition in the custom door market. We are confident you will find that our construction techniques are outstanding, our lead-time is very short, our prices are low, and our customer relations are very accommodating. We stand behind our product and our customers. San Jose, CA 800.223.9795 Gaudet’s Aluminum Ltd. has been family owned and operated since September of 1989. General Doors Corp A full line manufacturer of sectional and overhead doors serving the professional installer and dealer markets Since 1947. Nine warehouses/plants located east of the Mississippi River stocking LiftMaster operators & accessories, PVC stop, assorted weather stripping, and decorative lites for glazed sections. Bristol, PA 19007 215.788.9277. Holmes Garage Door Company Holmes Garage Door Company branded products are available at hardware retailers, including: Ace Hardware, Do-It-Best Centers, Sutherlands Lumber and Home Improvement Centers, True Value Hardware, Curtis Lumber, Hammond Lumber Company, and numerous independent hardware stores and lumberyards. Summit Door Inc. Beautiful custom wood sectionals and low maintenance PVC faced garage doors. Corona, California (888) SMT-DOOR. 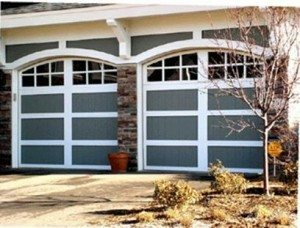 Wayne Dalton Corp – garage doors and openers. The grand daddy garage door innovator since 1954. See the revolutionary new garage door opener that has no tracks, belt or chain. Wayne Dalton(r) doors have a unique counterbalance system that allows spring tension adjustment using a common drill. Mt. Hope, Ohio (800) 827-DOOR. The most complete list of Garage Door Manafacturers, parts and accessories.